Bitrate, that's amazing. You could build furniture out of 3DOs. A throne perhaps? 3DOKid wrote: You could build furniture out of 3DOs. Hmmm... I'm going to go out on a limb and predict that the wife would vote against this option. majestically smite her with your staff of CH Flight sticks. Or perhaps woo her with a nest of tables made of CD cases. Or tie her down with a golden chain joypads. or whatever. 3DOKid wrote: Or tie her down with a golden chain joypads. *bites bottom lip* God that's hot! Forget Ebay ... if my multiplayer dies I'm sending a pm to bitrate. 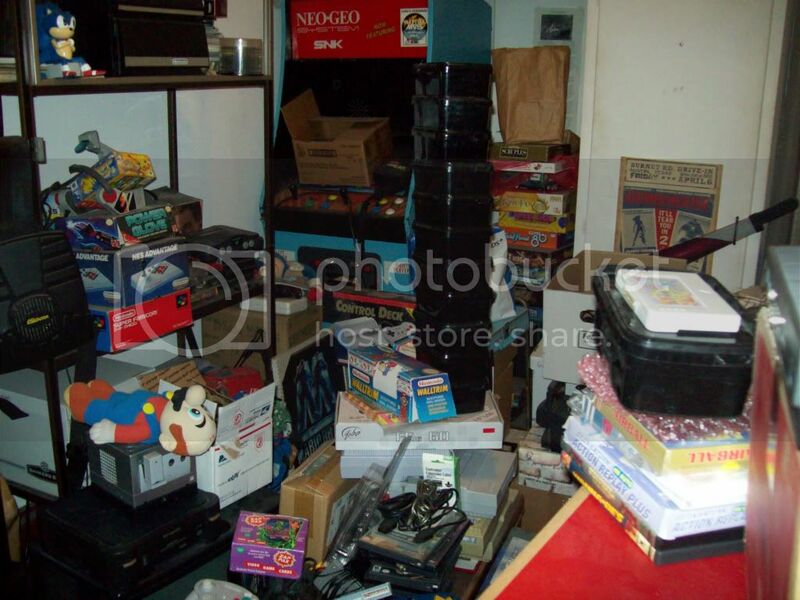 Lets hope he's not like me and make excuses why I need to keep every NES I have. It's not getting any cleaner, just bigger. 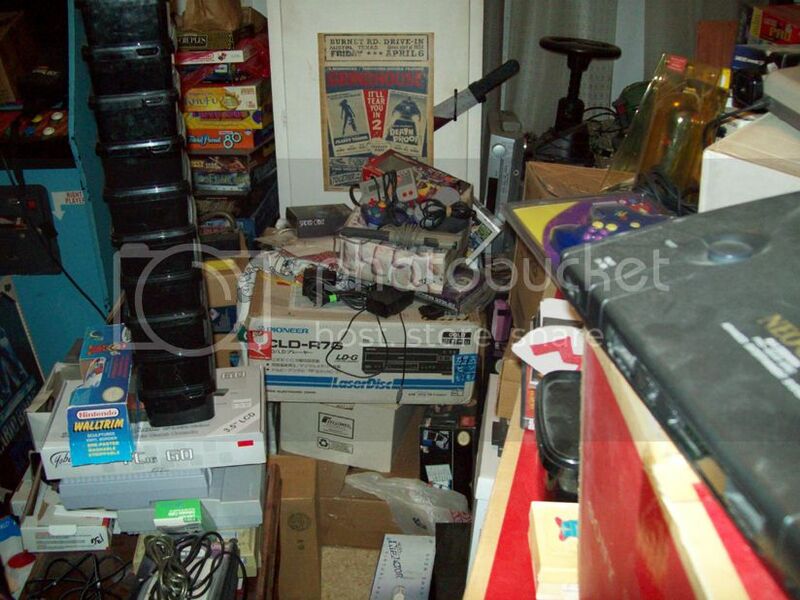 You ever see that show called hoarders? They hire people to come in and clean up all sorts of ungodly crap. The people make good money doing it. In your case, I'd pay you to rummage through your stuff. Btw, the bald Mario looks so sad. 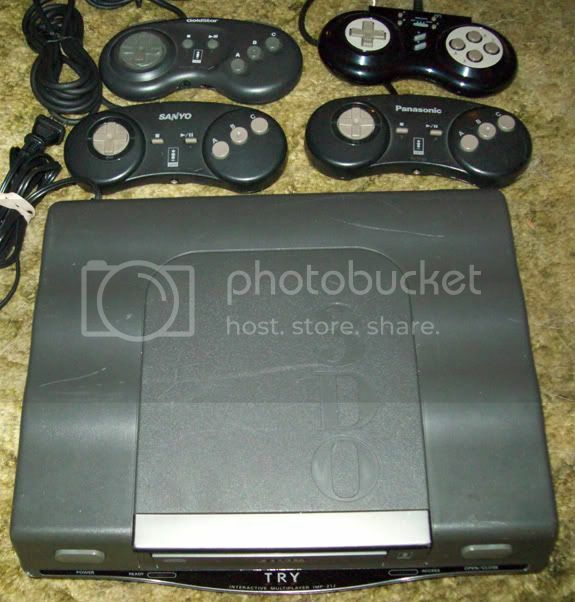 3DO Experience, if you need a hand with picking things up let me know. Just don't check my pockets when I leave. I dunno bitrate ... do you really think we could both fit in there? 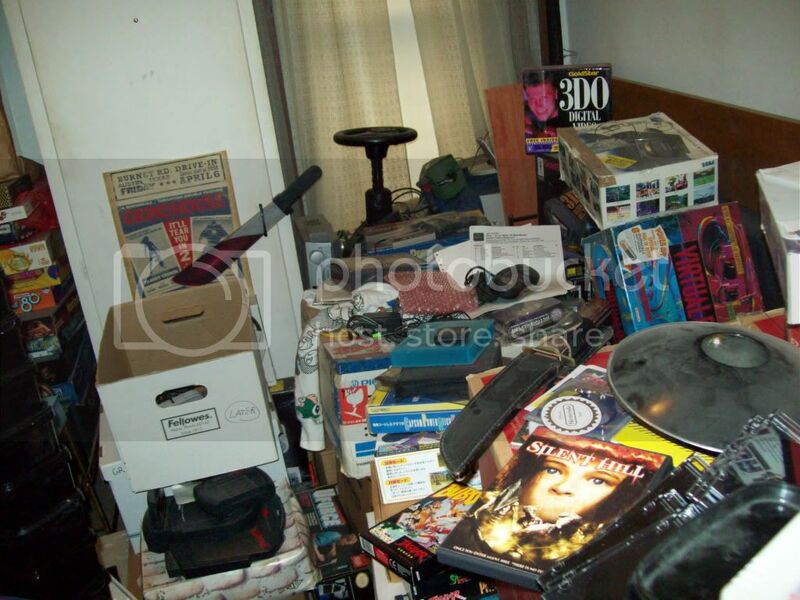 I am not a hoarder, it's just one room! *whispers* "but then again you've never seem my DVD collection. Yeah Mario needs to have his hat sewn back on. bitrate wrote: 3DO Experience, if you need a hand with picking things up let me know. Just don't check my pockets when I leave. What could I possibly own that you don't have? Well there are a few things I can think of. Not many I would part with... but hey I do have the wireless adapter to one of these if someone wants to buy it. Had a boxed adapter imported and then realized I didn't need it. I coulda bought more games! Double post! It's about 5:30 am and I never went to sleep, digging through 3DO games it turns out I had a few that were on my wanted list for a long long time. Plus I fully updated my 3DO list *yawn* and changed my signature to match. Hey I cleaned my "mess" room! Get with the program! I was digging around for some Nintendo boxes and was able to get to my Sanyo so I pulled it out. As you can see the Sanyo controller is the same as the original Panasonic one with just a different branding. Still missing some of my most wanted though such as Lost Eden, Dragon Lore, Robinson's Requiem and Out of this world. >Just added Casper (Sealed) and Daedalus Encounter (Sealed)! >So many great games still to go! >"Logic is the ultimate weapon." I'm not buying much lately but things aren't getting better. Your Neo Geo is so dusty it makes me want to cry. Trev, I was going to comment on the Neo-Geo as well. I also was going to comment on the neo-geo. lol. 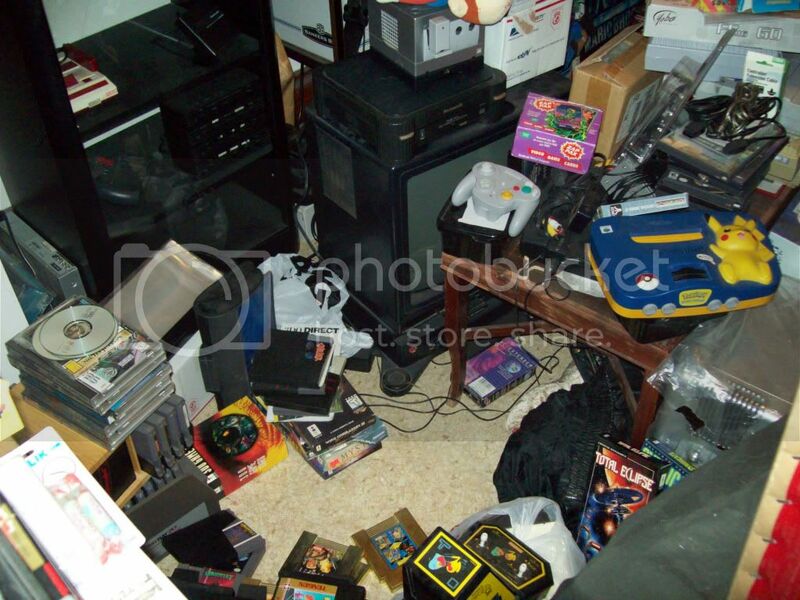 It would have a nice home here... provided it came with some games that is! I can't afford that market! I know, I'm so bad..... and this was supposed to be turned into a sweet game room. It's not too late ... you can still turn it around. Up to 94 titles now. At this point, most of my 'Most Wanted' have been obtained. Still eagerly looking forward to Cannon Fodder, Cyberia, Demolition Man, Primal Rage, Robinson's Requiem and Star Wars: Rebel Assault. >Still missing some of my most wanted though such as Lost Eden, Dragon Lore, Robinson's Requiem and Out of this world. >Up to 94 titles now. At this point, most of my 'Most Wanted' have been obtained. Still eagerly looking forward to >Cannon Fodder, Cyberia, Demolition Man, Primal Rage, Robinson's Requiem and Star Wars: Rebel Assault. >Slow and steady. Slow and steady.